Product Dimensions: 16.1''W * 14.9''H * 4.0''D inches, Ample roomy. Inside: 1 secure zipper, 1 cell phone bag, 1 card bag. Back: 1 zipper pocket quick access phone, wallet and other items. Shoulder strap can freely adjust the length. It is also a handbag. Whether you are work, shopping, outdoor travel, going to school. 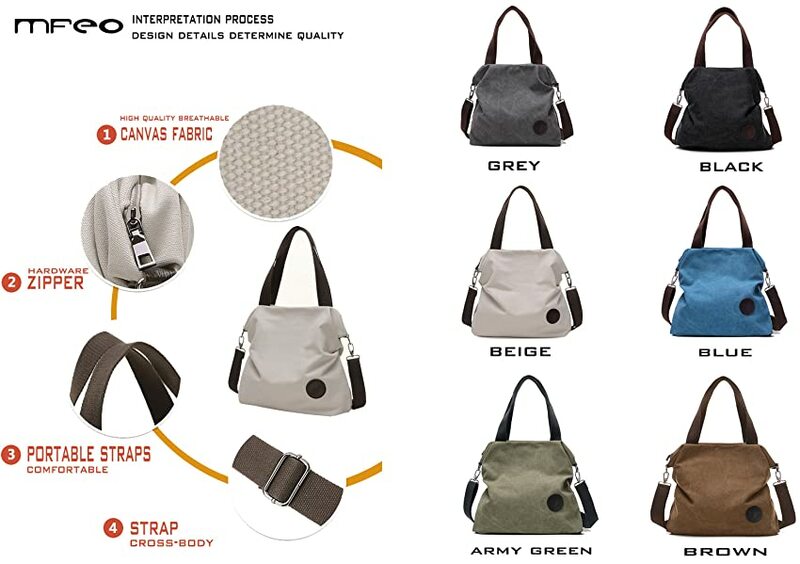 This bag will be your best choice. Too many choices to choose, just follow your heart.